The best action and thriller movies have intense car chases that are both exciting and highly dangerous. Going all the way back to the early silent-era of Keystone Cops movies, car crashes have become more and more popular over the years. Providing a nail-biting, fast-paced car chase is a sure way to attract a big audience and make money. 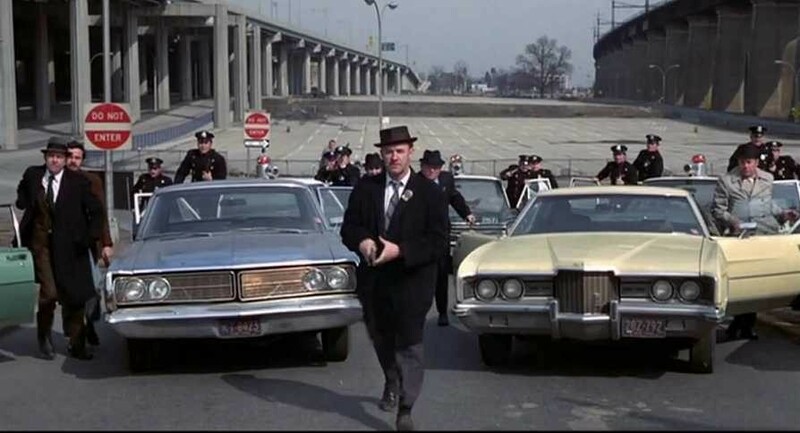 The French Connection (1971) is often cited as containing one of the greatest car chase sequences in movie history. The chase involves our main character Popeye (played by Gene Hackman) driving a civilian's car (a 1971 Pontiac LeMans) and then frantically chasing an elevated train, on which a hitman is trying to escape. The scene was filmed in Bensonhurst, Brooklyn and when the film was released, critics raved about it. This chase was believably real from the audience’s viewpoint, as well as the participants in the movie. It broke all of the rules by filming this unauthorized chase through the city of New York, avoiding real traffic and pedestrians. Do you think they could have gotten away with it today? The Steve McQueen movie Bullitt (1968) was filmed in the San Francisco Bay area, and features an amazing amount of on-location filming. The music score and camera work together amazingly well, creating a tense and exciting chase. San Francisco's hills were the perfect setting for this never-ending car chase and today it is still known as one of the greatest of all time. The production company used two Mustangs and two Dodge Chargers to film the chase scenes, and since they were filmed in a variety of different locations, there is little continuity. It took two weeks to film the chase, not surprising since the locations were spread out over a considerable part of the City by the Bay. 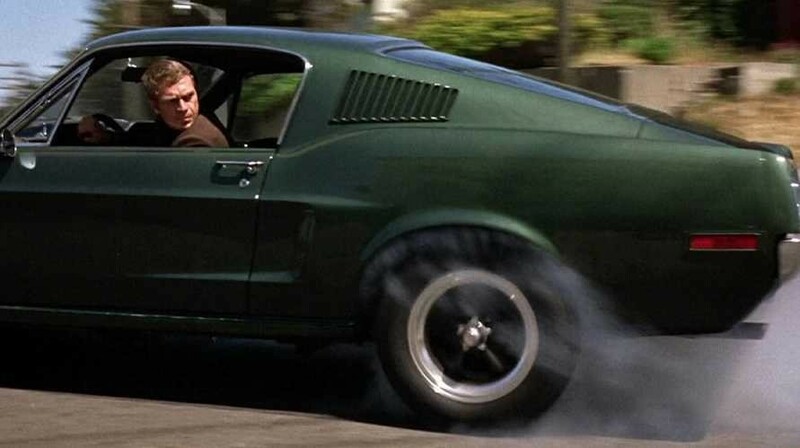 Known as the first "big chase" featured in a film, Bullitt set a standard that many tried to match over the years. 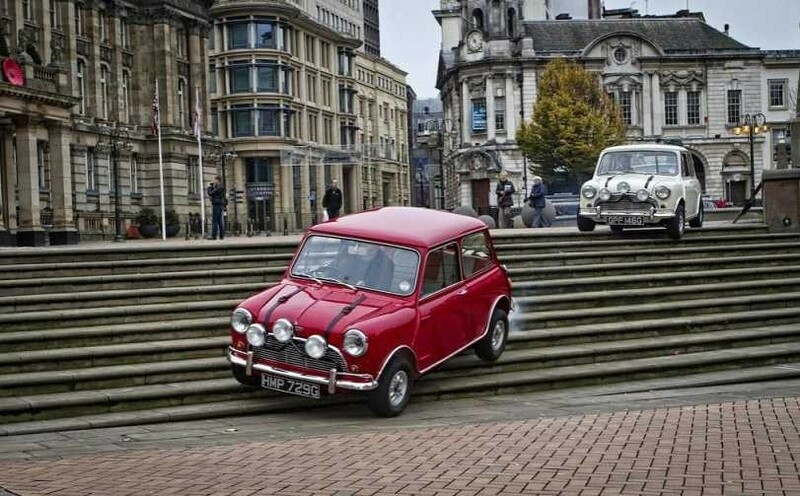 The Italian Job (1969), starring Michael Caine, was remade starring Mark Wahlberg in 2003, but the original has the better car chase, according to car enthusiasts and film critics alike. This film's plot finds a group of gold thieves transporting their loot through Turin, Italy in a red, white, and blue Mini Cooper. They go down stairs, through enclosed arcades, up (and back down) a curved rooftop, over a classic traffic jam and, finally, through a series of large sewer pipes. This chase scene involving multiple Mini Coopers is unforgettable and a true masterpiece in filmmaking. Gone in Sixty Seconds (1974) includes a 35-minute chase through Long Beach, CA and surrounding Los Angeles County cities. Based on stealing expensive cars, this thrilling movie is a dream for car lovers. Nicolas Cage starred in a 2000 remake of the classic movie, but this film could not match the car chase scenes in the original version. 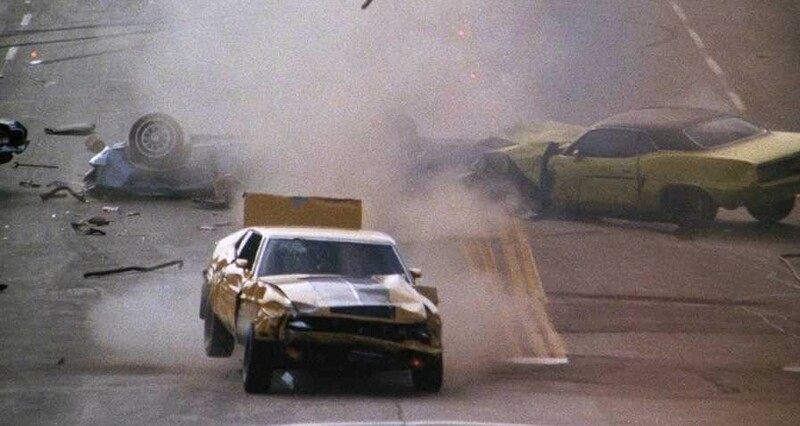 With a wide range of near misses, this chase destroyed more than 50 vehicles, all of which were owned by the film's producer. 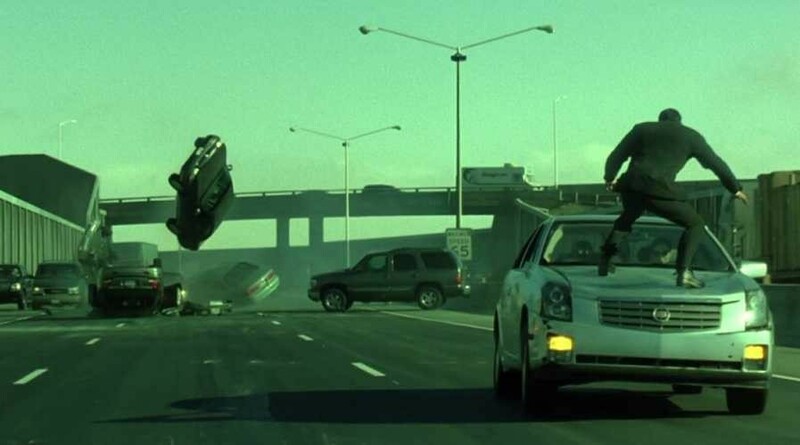 Matrix Reloaded (2003) starred Keanu Reeves, who gave an Oscar-worthy driving performance in this car chase scene, which involves a series of high-flying impact-filled crashes. The chase in this movie was filmed almost exclusively at a former Navy shipyard in Alameda, CA and used many cutting-edge effects. With a track they created, and by using parts of a freeway that was under construction, the crew behind this incredible chase wasn't hampered by city regulations and did not have to close one single road. Runners Up: Casino Royale, Vanishing Point, The Blue Brothers, Bonnie and Clyde, Cannonball Run, To Live and Die in LA, Thunder Road and Smokey & The Bandit. Do you agree with our list? Do you think we missed a scene? Leave a comment with what YOU think are the best car chase scenes of all time. Repair outcome was excellent and on time. I highly recommend this company. 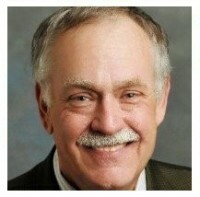 Thank you For a job well done!! !